In 1998, Joseph Pine and James Gilmore coined the term ‘The Experience Economy’, describing a future where, in order to stand out, businesses should create memorable events for their customers. Well, two decades on, it’s happening. Rather than simply being a place for functional transactions, forward thinking retailers are starting to create ‘experiences’ instore – including, of course, scenting. Here’s a handful of shops that smell good…. Jewellery brand Pandora introduced ambient scenting in its stores, courtesy of the Premium Scenting collection, the object being to enhance the shopping experience and create a great atmosphere. said Agnieszka Pietrzak, for Pandora. Turning round the preconception that tech smells bad, Korean electronic giant Samsung has long used scent in its flagship stores. One signature scent used has been ‘Intimate Blue’, which the brand calls ‘crisp, sharp and evocative’… reinforcing the exceptional and unique qualities of the brand.’ It’s gender neutral. The Kooples fashion chain uses scent marketing to increase dwell time. One of its scents is called 66, which it calls “mix of modernism and classic elegance” which aims to complement the coolness of the brand. We’ve seen airlines have signature scents, but bus companies? Not so much. Which is why it’s great news that Singapore public bus operator Tower Transit is to unveil a signature scent on 100 of its buses, to entice people on board. It’s said to contain hints of rose and peppermint. 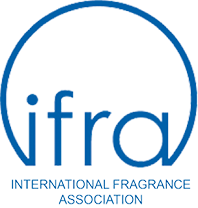 In its recent innovative multisensory research, Premium Scenting revealed that scent significantly increases consumer involvement in experiences by a margin of 38 per cent.